The IUGA annual meeting offers you an opportunity to showcase your products, services and company message to over 2000 attendees who specialize in the fields of pelvic pain and female pelvic floor disorders. Exhibiting at the conference provides a valuable resource where attendees can meet, greet, mix and mingle between sessions. This is your chance to interact one-on-one with leaders in the field from around the world. Attendee traffic will be enhanced by holding the Welcome Reception, all refreshment breaks, lunches and the poster session in the exhibit hall. 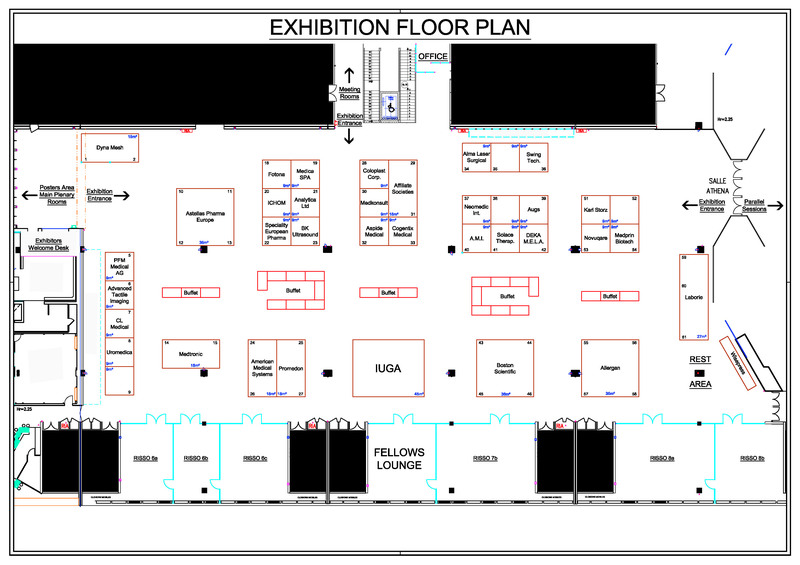 In addition, the cyber-café area will be located adjacent to the exhibition area. (Booth space selection will be given based on sponsorship amount and the date payment is received). Installation will occur starting on Tuesday (June 9th) at 2 pm until Wednesday (June 10th) at 4 pm dismantling occurring on Friday evening (June 12, 2015) after the final break in the exhibit area. For more information contact chuck@iuga.org or call +1 202.733.3234 x 114. 6 Advanced Tactile Imaging, Inc.